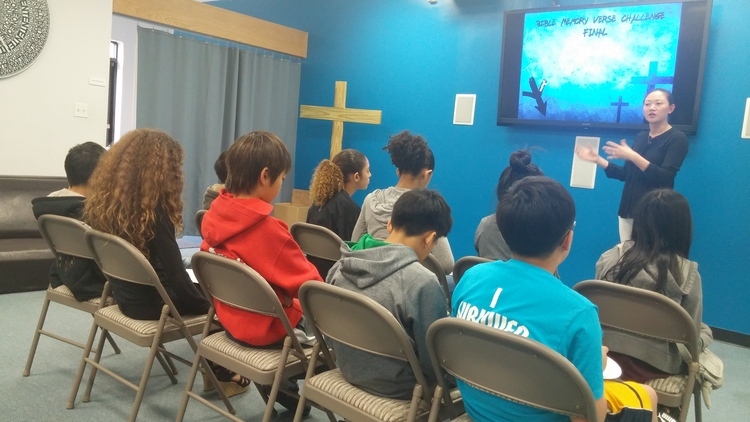 In early April, Pastor Doug Cho invited students to participate in a Bible memorization challenge. To my surprise, all three of my boys said they wanted to enroll. And thus began my own growing-by-mistake journey. First, I decided not to enter my youngest, Daniel, who is 8. Not knowing how many verses would be given, I thought Daniel was too young to compete on any real level. Mistake #1, no one is too young to start memorizing God’s word and Mistake #2 – I was treating this as a competition and not as an opportunity to commit God’s word to memory. Upon registration, we received an email with 77 verses to memorize by May 14th. 77! I felt overwhelmed, but again my boys surprised me. “We’ll try, mom,” was their answer. Andy, my middle child added, “You know I’m not going to memorize all of them right?” And I replied, “Yes I think it’s going to be difficult to memorize all, but we’ll get through as many as we can.” Once I accepted it wasn’t about winning, I encountered Growth #1. It wasn’t about how many verses we could memorize in the given amount of weeks. It was about being with the word. As many mornings and evenings as possible, we pored over the pages and memorized nuggets of God’s word. Some days, certain verses were a struggle. Sometimes my children whined. And, if I’m being honest, some evenings I whined. I struggled with how much force should be placed in memorizing or if I should leave it to them to do it joyfully because they were compelled. Growth #2, I remembered a quote from Oswald Chambers. “We cannot do what God does, but God will not do what we can do.” Like all things that are worth anything, being a disciple of Christ requires discipline. That meant carving out time to memorize, carrying the papers with us when we traveled, trading in TV time.